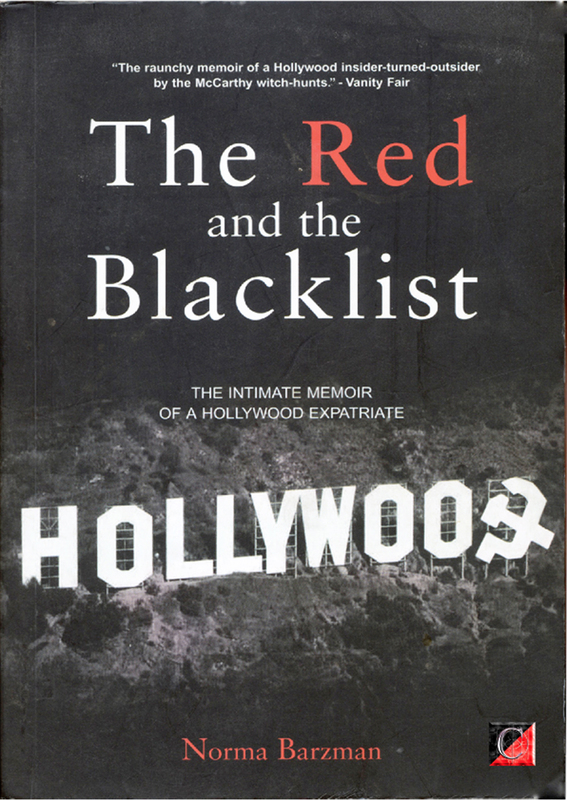 The Red and the Blacklist. 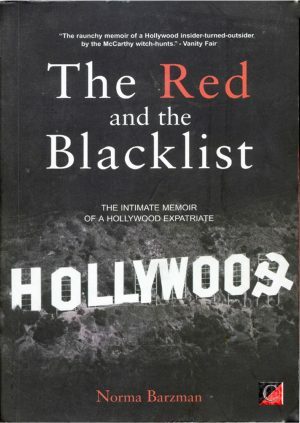 The Intimate Memoir of a Hollywood Expatriate by journalist, screenwriter and novelist Norma Barzman, is a uniquely compelling, picaresque, insider’s account of the consequences of the anti-liberal-leftist paranoia engendered by Senator Joe McCarthy and the ultra-conservative House Un-American Activities Committee (HUAC) that ennervated the US film industry in the late 1940s and 1950s with its all-pervasive atmosphere of fear and betrayal. In 1947, ten progressive directors, writers and producers, the Hollywood 10, refused to co-operate with the HUAC when called to testify and were held in contempt. They were sentenced to a year in jail and blacklisted from the studios. The resultant witch hunts forced over 300 liberal-leftist and anti-fascist writers, actors, directors and producers to either go underground or choose exile as a way of continuing their careers. Some, such as directors Jules Dassin and Joseph Losey, and screenwriters Ben and Norma Barzman moved to Europe; others, like screenwriter Dalton Trumbo, went to Mexico. And so begins Norma Barzman’s reflections on the exiled filmmakers and how their lives were impacted by the reactionary political atmosphere of 1940s, ‘50s and ‘60s America. Her account is animated by fascinating anecdotes of friendships, personal and professional, with a larger-than-life cast of supporting celebrity characters: Pablo Picasso, Harold Robbins, Sophia Loren, Charlton Heston, Ingrid Bergman, John Wayne, Anthony Quinn, Groucho Marx and, in a delightful cameo, a very young Marilyn Monroe. In July 1947 Norma and Ben Barzman were sitting on their front lawn in Hollywood drinking cocktails, when Groucho Marx, their neighbour, walked by. He stopped, looked at the sky and, addressing nobody in particular, said: “Yes, it’s hot enough for me, my mother and grandmother.” Then, raising his eyebrows and rolling his eyes, added: “Of course, it’s doubly hot for you. Don’t ask me for anything more than ice cubes, which is as far as my sympathies go.” Several minutes later, Norma Jean Baker, who would later be known as Marilyn Monroe, and who was on her way to a party, stopped her convertible to tell the Barzmans there were policemen at the bottom of their hill telling people they were monitoring people visiting the Barzman house. In 1949, after the Hollywood Ten were jailed for refusing to cooperate with the HUAC (and denouncing the congressional hearings as a violation of their civil rights), the Barzmans decided not to wait to be subpoenaed if named by others and moved to Paris. (They were in fact named in 1951.) It was the beginning of an eventful and creative thirty years of European exile.